Need a Fresh Coat of Paint? Here’s a Easy Way to Tell. Be Known for Something : Discover Your Church Communication Thread / Brand Strategy / Need a Fresh Coat of Paint? Here’s a Easy Way to Tell. At our office complex they’re painting the restrooms. I must confess that I’ve not been upset with the color of them. Or the overall look. It was painted a light, off-white, beige with a lighter trim. But now that it’s painted a fresh blue color and pure white trim, the fixtures (and whole bathroom) looks whiter, brighter and cleaner. Exactly what you want for a bathroom. Your Church just might need a fresh coat of paint. When’s the last time you considered it? They say that every 3-5 years you should look at “freshening” the decor. Often, when we’re around something a lot, we don’t notice things that others who, say once a week, visit. It’s like the 1st visit to a person’s home and you realize it has a smell. But an hour later, you don’t even notice it. 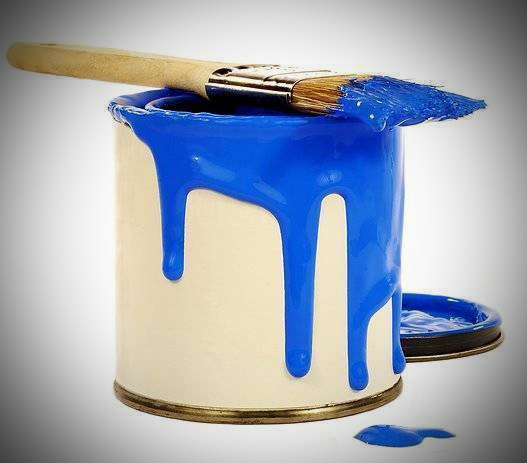 Maybe your website needs a “new coat of paint” too. You’ve started to hear grumblings: “they” don’t like it, can’t find information on it, and the design is looking a bit old. And then… a complete step-by-step plan of what you should do. It’s like hiring an expert interior decorator from your favorite HGTV show to come and give you a makeover. You’ll be surprised with the changes that have happened in the industry. And the easy solutions. It’s as easy as a new coat of paint.